Anyone who lives in Denver knows how damaging hail season can be. In fact, Denver is ranked 10th for hail fall in the United States, which means any unprotected cars during hail storms will end up with various types of damage. Here at Front Range Bumper Solutions, we repair a lot of these damages caused by Mother Nature. We believe in making your experience as hassle-free as possible because we understand how frustrating hail damage can be. Dents are the most common type of damage caused by hail. Most of these dents occur on the hood of the car but may also be found elsewhere on the car exterior. 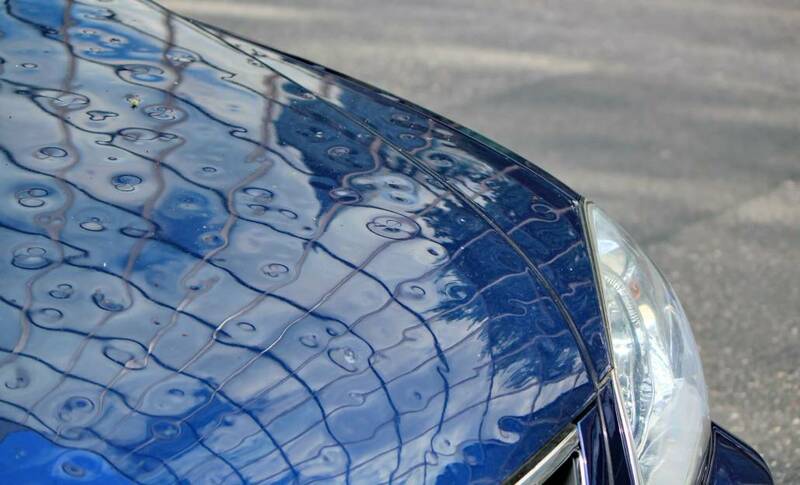 If the hail caused indentations without paint damage, paintless dent repair, otherwise known as PDR, is the best solution. Using specialized tools, FR Bumper Solutions can apply pressure and manipulate the dents to restore the area to its original shape. Scratches and chips often occur during a hail storm with strong winds and accompany various-sized dents. 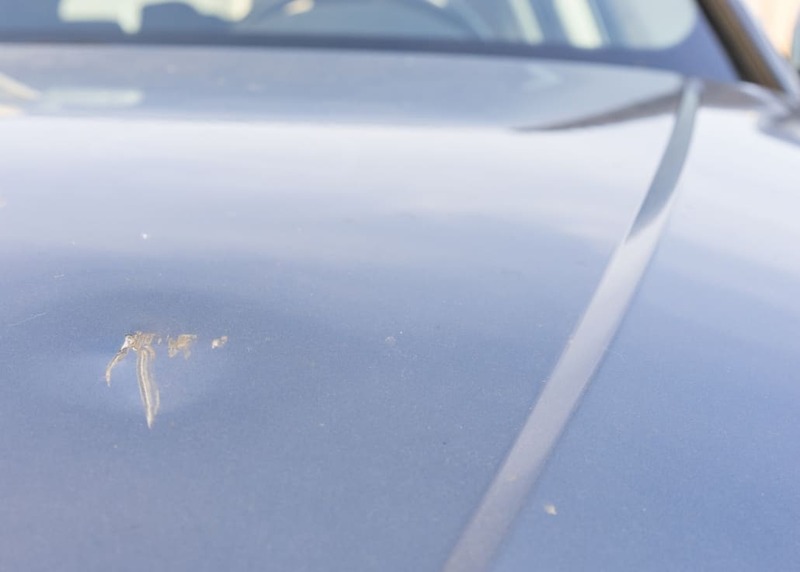 The wind forces the hail to impact the vehicle at a faster and stronger rate, therefore taking off car paint and denting the car. Our Denver and Colorado Springs body shops fix these damages by pulling out the dent with a process similar to PDR. We buff out the scratches and chips, fill the indentations with a filler, and sand the area to smooth it out. The car is then painted with PPG paint, a water-based paint that is guaranteed to match your car’s color. When there is a strong storm with big hail, unprotected cars risk glass damage, which can get pricey to fix. 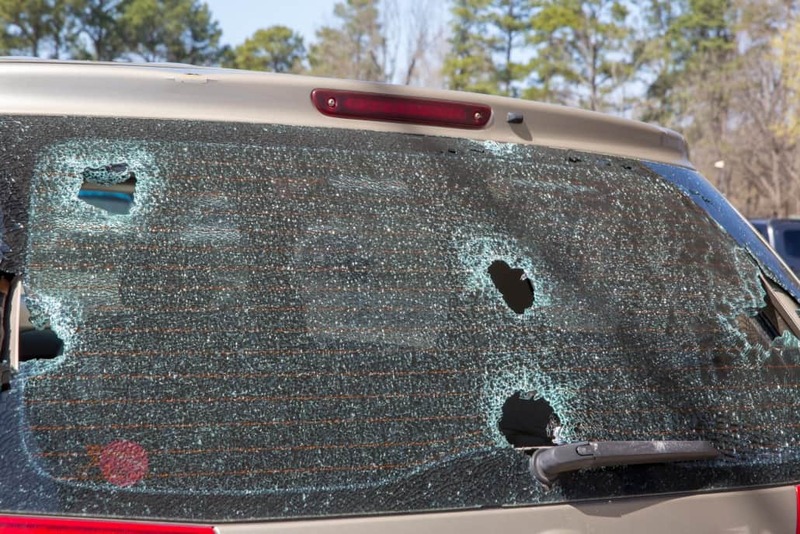 Cracked or broken windshields and windows are a significant safety hazard because it can impair the driver’s vision and can cause further damages. Depending on the amount of damage, it may be best to tow your car to Front Range Bumper Solutions for an affordable hail repair on the glass. We may need to replace the glass or use specialized tools to mend the glass back together. 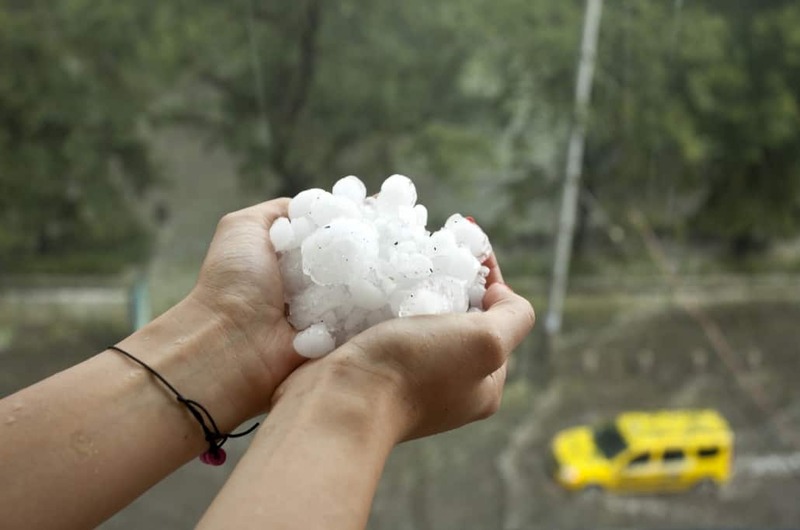 Whatever hail damage your car may have, we can help! Front Range Bumper Solutions offers top-notch hail repairs at our auto body shop in Denver. Give us a call today for a free quote and to book your appointment at (720) 669-8090.